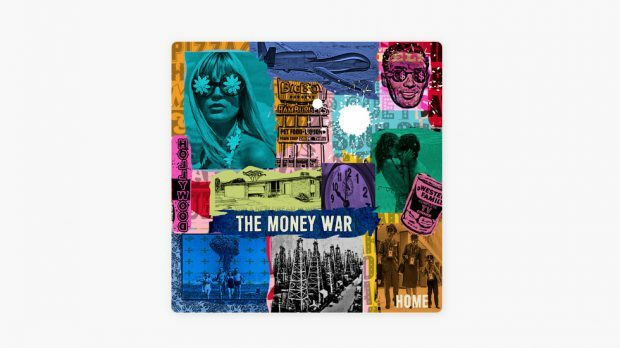 The Money War’s debut full-length is an almost instantly seductive record. My first experience came via the gorgeously soulful Hollywood. If there is hubris in the name, it is justified: Hollywood is one of the strongest tracks on an album almost embarrassingly full of sure-footed hooks. An insistent Rhodes-ish stab breaks into astonishingly sweet layers. Carmen Pepper’s slightly-sandpapered vocal is all Antipodean Del Ray. Guitarist/Vocalist Dylan Ollivierre holds the lion’s share of songwriting credits on the album and all evidence suggests his bag of tricks is full to bursting. There is a gently countrified west-coast vibe common to a number of the tracks…notably Home and In The Morning With You, but on tracks such as Recall with its assured T-Rex swagger and the insanely catchy glam boogie of Stars, Ollivierre’s instinct for a killer change-up is on full display. It’s easy to let this record slip by without too much scrutiny. Over 10 songs it rarely drops below a low bar of “extremely listenable” and at points Home is jaw-droppingly astute in its pop-smarts. The songs feel already familiar even as they surprise the ear, like the soundtrack to your favourite teen movie, only from another dimension. But if your air punching and hair-brush routine involves miming every lyric, there’s at least a 50% possibility you might feel a little left out. Despite Pepper’s prominent role as one half of the duo, there is not much evidence of a female perspective in the lyrics. At times these depict an almost homespun take on love and relationships, voiced from a fairly traditional male point-of-view. There may be more irony than is obvious in tracks like Man’s Needs but it is not particularly clear. Given Ollivierre’s compositions form the bulk of the album this is perhaps not surprising, but it feels like a missed opportunity to make what is an undeniably good debut album into a great one.